One cannot separate the Christian hostility for Jewish disciples who continue to keep the practices of their people from the Christian attitude of dismissal and even suspicion of the Torah, the “old law” or “law of Moses.” To the minds of most Christians, there is an insurmountable wall between the Law and the Grace they have found in Jesus Christ. Yet, while there is a tension between law–or as we might term it today, legalism–and the Messiah’s grace, the New Testament nowhere teaches that the Torah is in opposition to Grace, nor that it is flawed or corrosive to living in God’s Grace expressed in the Messiah. 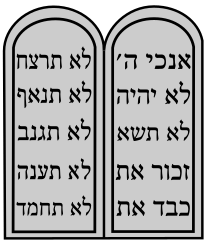 On the contrary, the New Testament supports the Torah in its every commandment. Not only did Yeshua uphold the Torah, but he also upheld the authority of the rabbis of the sect of the Pharisees (who became what we now consider Orthodox Judaism) to a great extent. Most Christians know of the condemnations of hypocrisy recorded in Matthew chapter 23, but few pay attention to the first few verses: “The scribes and the Pharisees sat on Moses’ seat. All things therefore whatever they tell you to observe, observe and do, but don’t do their works; for they say, and don’t do.” While he often debated the specifics of the application of the Torah and the proper place of tradition, Yeshua never called for any Jew to forsake the Torah or our traditions–and indeed, he even elevated some, such as ritual immersion and the use of wine at Passover, to the level of Scripture and imbued them with even greater meaning. Nor could it be said that Yeshua’s Jewish followers departed from the Torah, the traditions, or their people. They continued to participate daily in the Temple service (2:46-3:1), even bringing their own voluntary sacrifices (21:24, 24:11 & 17). They continued to go to synagogue on the Sabbath (Acts 13:14, 15:21, 16:13, 18:4). In Acts 25:8, Paul denied that he had committed any offense “against the law of the Jews, nor against the temple, nor against Caesar.” Moreover, Paul affirmed that he remained a Pharisee–in modern lingo, an Orthodox Jew–and was accepted as such by other Pharisees on the Sanhedrin (Acts 23:6-9). A key passage in Acts serves to illustrate this. In Acts 21:17-26, Paul returns to Jerusalem after many years abroad. He immediately reports in to Jacob, Yeshua’s brother, and the other elders. They are overjoyed to find out that his mission was so successful: As we saw in chapter 1 of this book, they had discovered in the prophecies that Gentile inclusion was a necessary prerequisite for the Messiah to return and restore the Davidic monarchy. But, they explained, therewasa problem. A big one. “You see, brother, how many thousands there are among the Judeans of those who have believed, and they are all zealous for the Torah. They have been informed about you, that you teach all the Jews who are among the Gentiles to forsake [the Torah of] Moses, telling them not to circumcise their children neither to walk after the customs” (vv.:20-21). How ironic that Paul’s opponents in the 1st Century and his devotees in the nineteen centuries since make the same accusation! What is their solution? “We have four men who have taken a vow. Take them, and purify yourself with them, and pay their expenses for them, that they may shave their heads. Then all will know that there is no truth in the things that they have been informed about you, but that you yourself also walk keeping the Torah” (vv. 23-24). Paul agrees to their proposal (v. 26). Since the whole point of the endeavour is to show Paul’s continued fidelity to the Torah, and since there is only one vow in Scripture that has anything to do with shaving the head, this must be a Nazrite vow (Num. 6:18). Had they done this in order to acquire justification through the law, Paul could not have assisted them in any measure with a clear conscience; but, as he did assist them, it is a proof that they had not taken this vow on them for this purpose. . . Besides, God had not yet fully shown that the law was abolished, as has already been remarked: he tolerated it till the time that the iniquity of the Jews was filled up; and then, by the destruction of Jerusalem, he swept every rite and ceremony of the Jewish law away, with the besom of destruction. Matthew Henry in hisConcise Commentarygoes much farther, even accusing Paul and Jacob of sinning! The apostles were not free from blame in all they did; and it would be hard to defend Paul from the charge of giving way too much in this matter. It is vain to attempt to court the favour of zealots, or bigots to a party. This compliance of Paul did not answer, for the very thing by which he hoped to pacify the Jews, provoked them, and brought him into trouble. But the all-wise God overruled both their advice and Paul’s compliance with it, to serve a better purpose than was intended. Both authors (and others that we could cite) miss the question that should drive our understanding of this event: Why exactly did Jacob and the elders choose a Nazrite vow as proof of Paul’s fidelity? Surely his enemies would simply say, as some Christians do, that Paul was simply making a show in order to placate them! The answer is deceptively simple: It was because Paul had already taken a Nazrite vow on his own, while traveling among the Gentiles, before he ever knew that there was a problem back home. In Acts 18:18, Luke suddenly mentions, in an almost off-hand way, in the middle of his travelogue, “He (Paul) shaved his head in Cenchreae, for he had a vow.” Since Paul had taken his vow while traveling, completing his vow under Jewish law and helping four other Jewish disciples of Yeshua to complete theirs’ would be the perfect refutation of his enemies’ accusations. Paul had actually returned to Jerusalem with the intent of completing his vow: “Now after some years, I came to bring gifts for the needy to my nation, and offerings” (Acts 24:17). The word translated “offerings” in this verse (prosphoras) always refers to a sacrificial offering–such as the three animal sacrifices, grain offering, and wine oblation required to complete the Nazrite vow (Num. 6:14-15). By agreeing to help four other Nazrites, Paul had actually agreed to pay for a total of fifteen sacrificial animals. One hopes he was able to get a bulk discount. Of course, due to the false rumor that Paul had brought Gentiles into the Holy Place (Acts 21:28), Paul was attacked and arrested, and was never able to complete his own vow. He evidently remained under it until his death. This may be why he had to persuade Timothy to “Be no longer a drinker of water only, but use a little wine for your stomach’s sake and your frequent infirmities” (1Ti. 5:23). Jewish disciples were extraordinarily dedicated to their rabbis, even to the point of superseding their relationships with their own parents, and we see hints of just such a relationship in Paul’s letters (1Ti. 1:2, 18; 2Ti. 1:2, 2:1). It is very likely that Timothy, without taking a formal vow, had decided that as long as Paul was constrained from drinking wine (Num. 6:4), he would not drink wine either, even to the detriment of his own health. This again proves the dedication Paul had to the Torah. A modern Christian would likely decide that God’s grace permitted him to break his vow due to the unforeseen circumstances that had waylaid Paul, but to the Apostle to the Gentiles, such a flagrant and deliberate breach of the Torah’s commandment was unthinkable. As W.D. Davies, former professor of the New Testament for Princeton University noted in 1962, “[T]hroughout a life that suffered greatly at the hands of Jewry, the Apostle [Paul], surely at great inconvenience to himself, honored and observed the mark of his people, the Torah, never separating himself from Israel after the flesh.” And if Paul, the “Apostle to the Gentiles” did not separate himself from Torah or the Jewish people, how much less would have Peter, Jacob (James), and the other Apostles whose mission was to the Jewish people have done so? For it is recognized that also the Nazarene and his disciples, especially Paul, warned concerning the Torah of the Israelites, to which all the circumcised are tied. And if they are truly Christians, they will observe their faith with truth . . . But truly even according to the writers of the Gospels, a Jew is not permitted to leave his Torah, for Paul wrote in his letter to the Galatians (Gal. 5) “I, Paul, say to you that if you receive circumcision, the Messiah will do you no good at all. You can take it from me that every man who receives circumcision is under obligation to keep the entire Torah.” Again because of this he admonished in a letter to the Corinthians (1 Cor. 7) that the circumcised should not remove the marks of circumcision, nor should the uncircumcised circumcise themselves. . . But it is as I have said earlier–that the writers of the Gospels never meant to say that the Nazarene came to abolish Judaism, but only that he came to establish a religion for the Gentiles from that time onward. Nor was it new, but actually ancient; they being the Seven Commandments of the Sons of Noah, which were forgotten. The Apostles of the Nazarene then established them anew. However, those born as Jews, or circumcised as converts to Judaism (Ex. 12:49; one law shall be to him that is home-born, and unto the stranger) are obligated to observe all commandments of the Torah without exception. 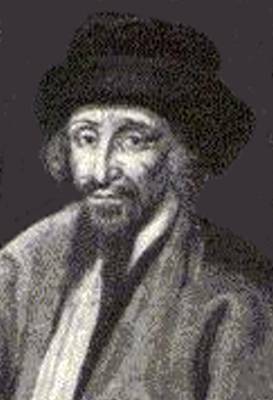 Failure to recognize this high, even exalted, view of the Holy One’s Torah that exists in tension with the New Testament insistence that Gentile followers of Yeshua were to be saved and received into the community of the redeemed as Gentiles, not simply as potential Jewish proselytes, has led to a false, even blasphemous portrayal of Yeshua–not by the Jews, but by Christians attempting to witness to Jews!